MAPCAL3 V3.5 (Flex Fuel Production Release) New!!!! MAPCAL3 V3.5 is a major upgrade from V3.4 with the following new features. There are also new USB Driver install and uninstall programs making USB Driver install a snap! An update manual and videos will follow. Native GM Flex Fuel Sensor Support Ethanol contents from 0% to 100% (KVF Input). 2D Compensation tables for Fuel, Ignition Timing and Auxiliary Injector Output based on Ethanol content. 2D Ethanol fuel temperature compensation for Fuel and Ignition timing (optional adapter required to collect fuel temperature data). A complete overhaul of the fuel, barometric pressure and now coolant temperature compensations. RPM Limiter function separate from Launch Control. Boost Cut function uses the Launch Control function to cut ignition to limit boost. Launch Control only retards ignition timing when target RPM is reached. Launch Control Anti-Lag solenoid output function. 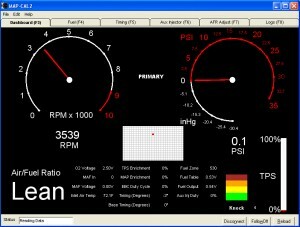 Exhaust Gas Temperature (EGT) input for logging. Coolant Temperature (CLT) input for logging. You can configure which tables MAPCAL3 reads and writes to the MAPECU3 to speed connecting and tuning. For example, if you are not using the secondary tables, they can be disabled. Bug fixes: Import Flex Fuel iMAPCAL log files correctly. Import older MAPECU .tbl files better, fill new zones, set Clamp% to 100%, set ignition mode and pressure scale correctly. Fix Fuel zone display bug in logs, etc. Download the ZIP file and unzip the 3 files, setup.exe, setup.lst and map_cal3.cab. Run setup.exe to install MAPCAL3 on your laptop. We recommend you install this release into a new folder, e.g. C:\Program Files\MAPCAL3V351\. You may need to configure MAPCAL3 V3.5 to force a firmware reload if your MAPECU3 is running an older release of firmware. Warning! Backup the “tbl” file from your MAPECU3 BEFORE you upgrade. Your current tune will be lost. Disconnect your laptop from the Internet before you plug your MAPECU3 into the USB port for the first time!! Click to Download File>>>USB Drivers<<<NEW now supports Windows 10! NEW, easy USB Driver Install and Uninstall Programs. Unzip the programs in the link above and run “USB Driver Installer.exe” before plugging your MAPECU3 into you laptop for the first time. If you have an old USB Driver installed, run “USB Driver Uninstaller.exe” to remove it first. 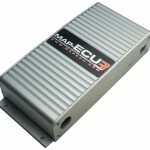 MAPCAL3 V3.4 supports MAPECU3’s with a WiFi module fitted for wireless tuning from your Windows™ PC. Download the ZIP file and unzip the 3 files, setup.exe, setup.lst and map_cal3.cab. Run setup.exe to install MAPCAL3 on your laptop. Warning! Disconnect your laptop from the Internet before you plug your MAPECU3 into the USB port for the first time!! Download the ZIP file and unzip the 3 files, setup.exe, setup.lst and map_cal3.cab. Run setup.exe to install MAPCAL3 on your laptop. Warning! Disconnect your laptop from the Internet before you plug your MAPECU3 into the USB port for the first time!! These USB drivers are configured for the best performance of your MAPECU3. Download the files to a folder on your laptop you can access the first time you connect your MAPECU3 to the USB port. Click here for detailed USB Driver installation instructions for your version of Windows™. Download the ZIP file and unzip the 3 files, setup.exe, setup.lst and map_cal2.cab. Run setup.exe to install MAPCAL2 on your laptop. Quick reconnect – only writes the changes made offline instead of all the tables for much faster tuning. Enhanced NOS1 activation with pressure window and minimum speed input for the ultimate NOS activation. Enhanced Launch Control with minimum speed input to reduce wheel spin on launch. Combined Speed Cut and Adjust functions. TPS/MAP Enrichment enabled in Intercept modes. IAT temperature monitor enabled in Intercept modes. Support for the Lexus V8 dual distributor configuration. The first MAP-CAL version to support MAPECU2. Provided for download to support very early MAPECU2’s that have not been upgraded. The last MAPCAL version for MAP-ECU. Recommended for all MAPECU’s with the latest zoned TPS/MAP enrichment feature. Most MAPECU’s in the market will work with this version of MAPCAL. MAPCAL V2.2 supports the majority of MAPECU’s with zone based TPS/MAP enrichment. Superseded buy V2.3. MAPCAL V2.1 was the first version of MAPCAL for MAPECU and only works with MAPECU’s with non-zoned TPS/MAP enrichment. Very few early MAPECU’s require this version.